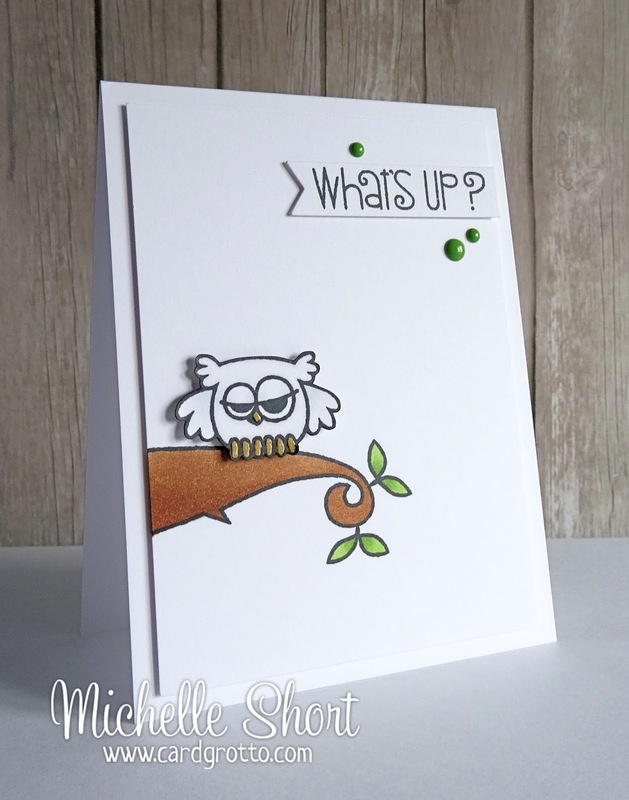 The Card Grotto: What's Up? 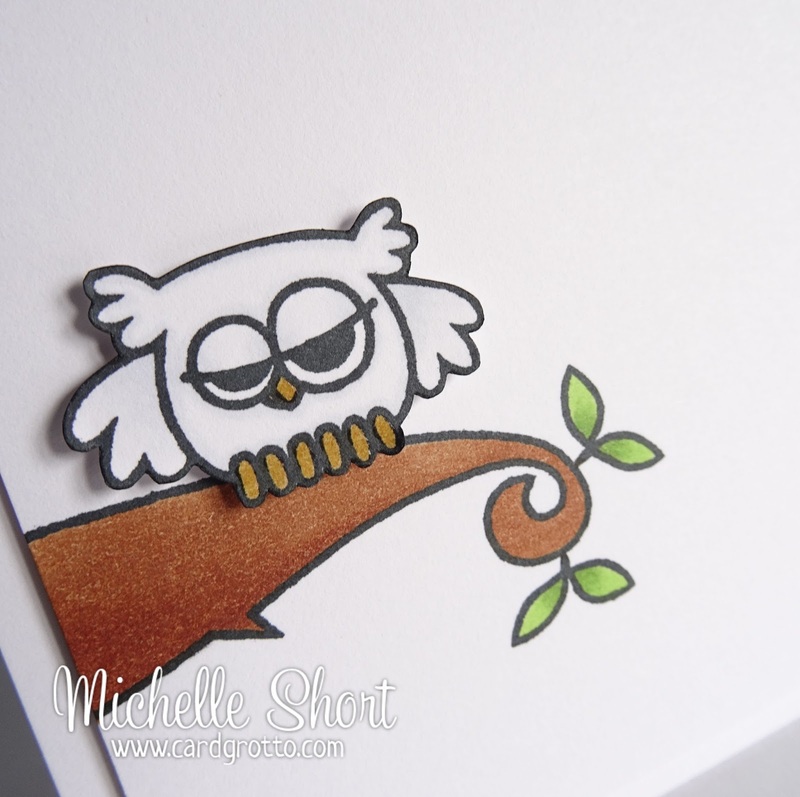 Hello there, a little while ago I bought the Paper Smooches Hooties stamp set and yesterday I finally got around to using it! I have simply stamped the tree branch image out as well as the leaves and coloured them with Copic Markers. I have then stamped the owl image separately, also coloured with Copic Markers and cut him out. He has been popped up on the branch with 3D foam pads. The sentiment, from the PS Good Gab set, has been stamped and cut out using the flag banner from the CBS Tag Along Die Set. I have finished the card with a few DB Sprinkles. COPIC MARKERS: E35, E37, YG23, YG17, YG67, C2, C1, Blender, Y28, YR23. Thank you so much for visiting me today. I hope you have a lovely day, it's pretty cold and rainy here sadly! This is so cute Michelle. Gorgeous card Michelle. I love the cute owl and wonderful layout. 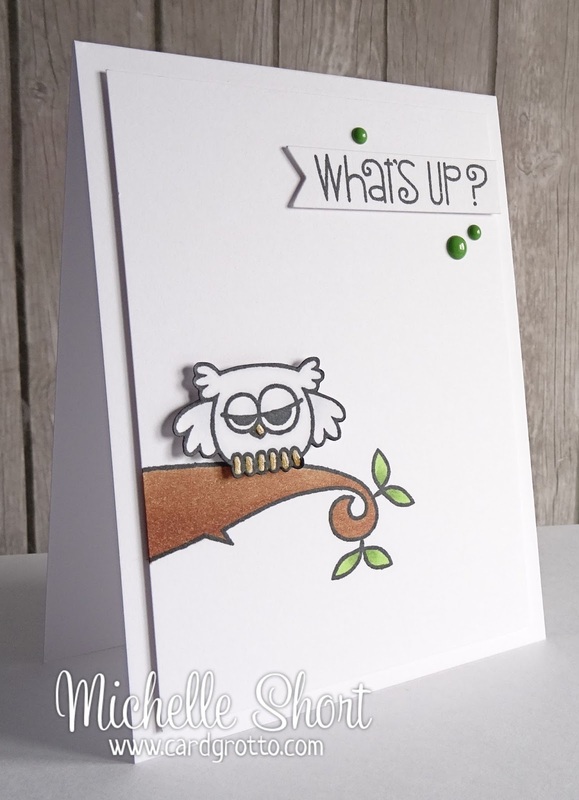 Owls are my favorite and I love this card! He's really cute! Excellent colouring, as always, too. ahhhh, this is just too cute! Such a cute card, Michelle! Beautiful Copic coloring, too!